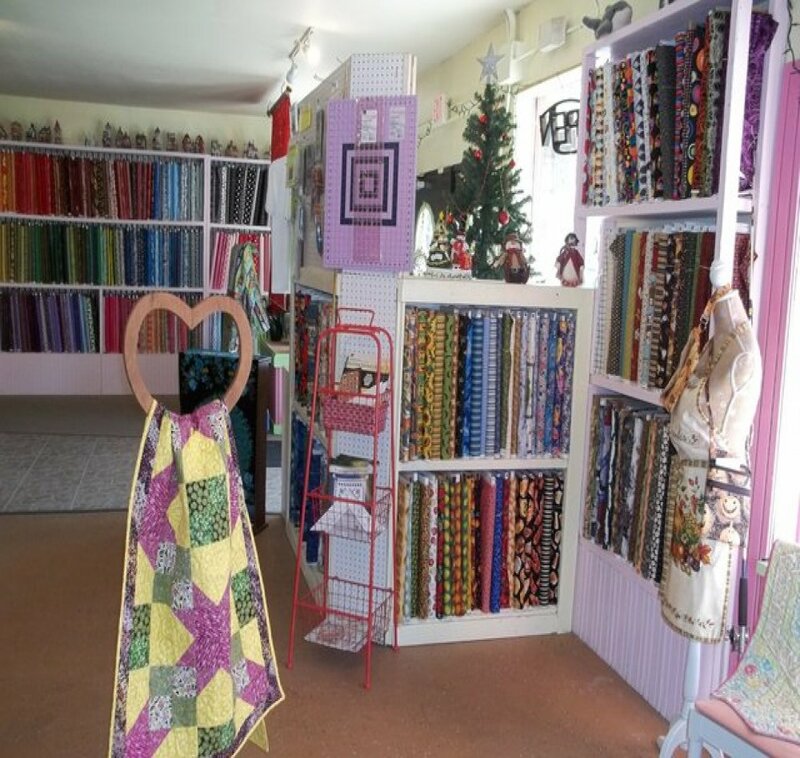 At Julie's Pins & Needles, you’ll find a wide assortment of quilt supplies, notions & high-quality cotton fabrics in a variety of colors and patterns. Our shelves are stocked with all the latest quilting essentials. We are on Main Street in beautiful Downtown Alachua, Florida, which is conveniently located just about a mile off I75 in north central Florida. Main Street has a variety of wonderful shops as well as restaurants so you can plan a day outing complete with lunch or dinner. We also have a puzzle table, water fountain, chairs and more in our lounge for those who might enjoy some downtime while you are shopping. Should you need help picking colors, just ask Julie, she is always willing to help. Is your closet filled with UFO's that just need to be quilted? 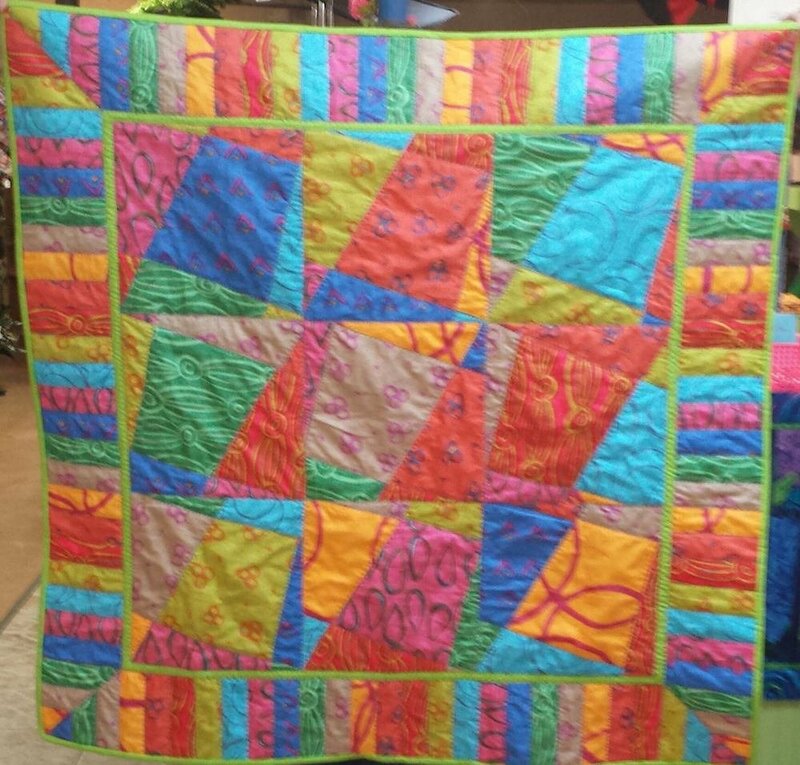 We can help you with our affordable longarm quilting services. Need an idea for a quick gift or an heirloom project? We can help with that too. 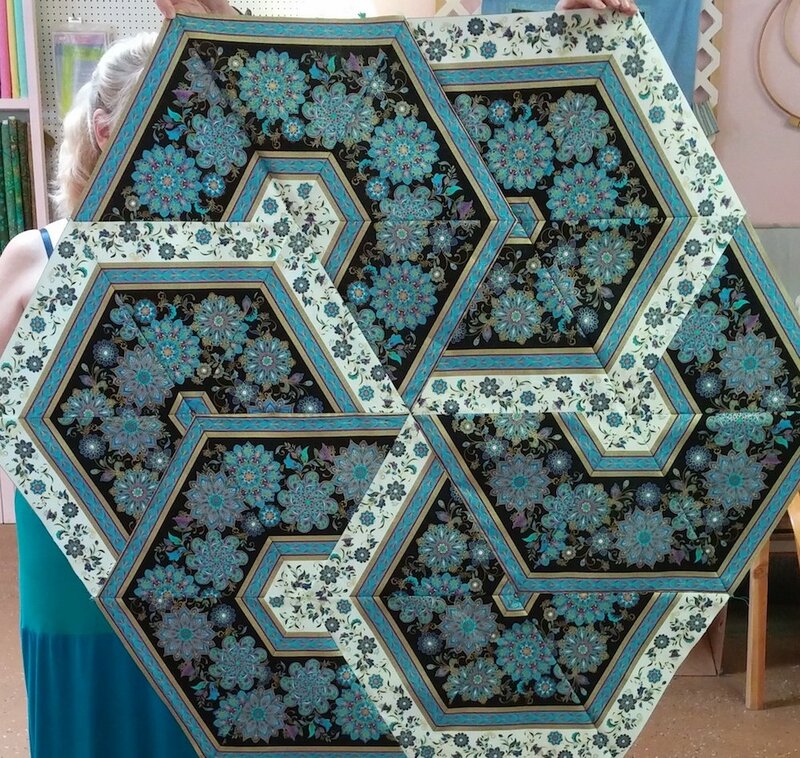 Whether you are just getting into basic quilting or you are creating completely custom quilts, you’ll find what you need all in one place. We also have longarm services available to finish your most recent project as well. Visit the shop for our fee list.